I will always remember the year the shyest boy in kindergarten was chosen to star in the school musical. Old MacDonald was the show, loosely based on the favorite song “Old MacDonald Had a Farm”, and Old MacDonald himself was played by none other than my little brother. Looking back, it’s hard to not think I was responsible for Ken’s rise to fame. After all, the school’s music teacher would tote her binders full of treble and bass clefs to my house every week at 4 pm, where she taught me to play the piano. During those piano lessons, the music teacher became pals with my mother, which came in handy when no one auditioned for the role of Old MacDonald. I’m not sure if chocolate or extra TV time was involved in this negotiation, but before I knew it, Ken was stuffing a straw hat and overalls in his backpack for carrying a tune at rehearsal. He may have been shy, but he was determined, and his constant practicing ensured that any member of our family could have stepped in as his understudy at any moment. We likely all assumed that “Old MacDonald Had a Farm” was the only song he’d have to perform, but it turns out he had a much bigger part than “E-I-E-I-O”s. In fact, there’s an entire 12-song musical based on this farm — all songs we’d never heard — that quickly became stuck in our heads. Now you know why no one showed up for auditions. But while I can poke fun at the simplicity of kindergarten song lyrics, I wonder if this isn’t the same clarity we long for when explaining things to others and ourselves? We all want to know right from wrong, good from bad, positive from negative, safe from dangerous, and friends from foes. 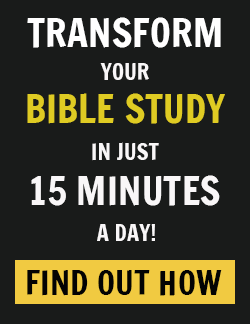 In the Bible, we see that mountains and valleys aren’t just “up” and “down” in terms of geography, but they also seem to take on negative or positive connotations. And so, when we walk through our own circumstantial valleys and encounter things that never would have happened in the Garden of Eden, we think our lives are headed, well, down. Casseroles will arrive and bad news may keep coming, and everything about suffering, from funeral dresses to sympathy cards, sharply remind us of darkness and defeat. My darkest personal valley began the day that same little brother — our Old MacDonald — passed away at the age of 20. While he had outgrown those nursery songs and farmer overalls, I always thought he’d grow up to be a man, father, and uncle, and we’d show old home videos of “Mountains and Valleys” to our children over laughter. But that’s not what happened at all. The part of my family I’d assumed would be there forever was gone. Because he was my only sibling, my parents and I make up our “three-legged family,” one that will never feel complete again on this earth. Anyone could have looked at my circumstances and agreed that I’d been abandoned in a valley, never to see light in the darkness again. And at first, that’s what I believed to be true. But I don’t think I ever really thought beyond that worst fear coming true — Yes, I was afraid to lose someone I loved, but if that happened, what did it mean? Certainly, that God no longer loved me and would leave me to deal with my pain. 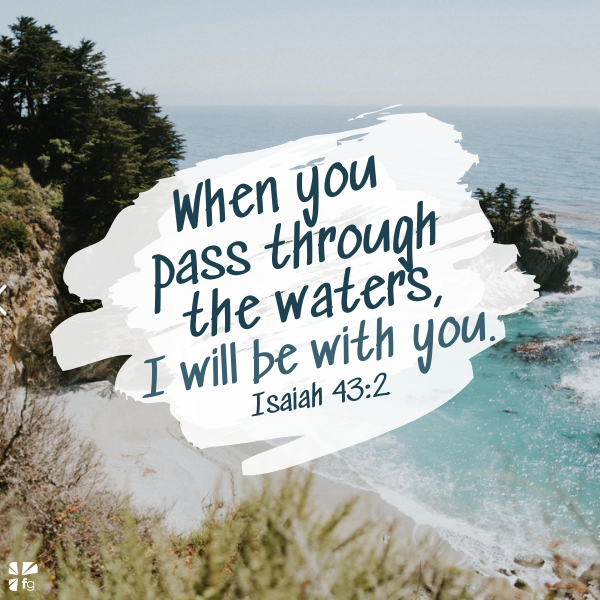 So, whether we’re talking about rocks or mountains or valleys, one thing remains true: He is with us. God is our only true comfort, and His Word is unfailing. May we look above the ebb and flow of our circumstances and rest our eyes upon the God who does not move. He is steady in the ups and downs, and His heart is to turn things right-side-up. 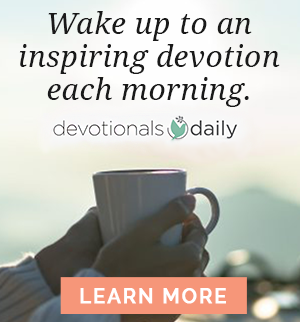 Written for Devotionals Daily by Kaitlin Wernet, co-author of The Book of Comforts with Rebecca Faires, Cymone Wilder, and Caleb Faires. 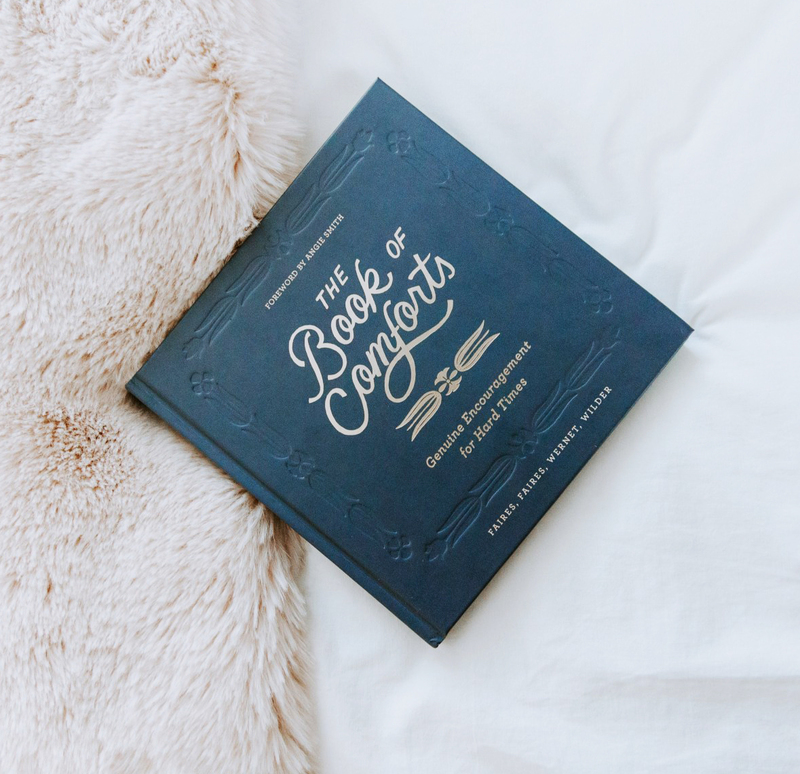 Get your copy of The Book of Comforts today! Kaitlin Wernet is a storyteller surrendered to hope. Forever passionate about holding the tension of darkness and light, she is grateful for the good news that acknowledges and redeems both. Kaitlin is the co-author of The Book of Comforts, and she spends her days writing everything from marketing strategies to creative essays. Living in Nashville, Tennessee, by way of Asheville, North Carolina, she's always planning her next big travel adventure but vows to only plant roots in cities that rhyme.